Dieting isn’t exactly easy, right? That’s why so many people look for help in terms of supplements to take. There are all kinds of products that can be classified as weight loss supplements. THere are those products that are labeled diet pills, and then there are those natural supplements that help people tackle weight loss through the back door so to speak. Have you tried any supplements just yet to help you shed those pounds? You might have wanted to do things the old-fashioned way, but there are plenty of reasons why you might want to start looking at supplements. You don’t have to take on diet pills as a whole, but looking at natural weight loss pills and supplements might not be such a bad idea. Of course, you are going to want to know the good points and the bad points, the pros and cons. One way in which diet pills help you is that they give you a good jump start. Of course, when you look at the effects of each type of supplement, they are all different. Some of the natural supplements work more indirectly as mentioned. Yet some of the diet pills are more direct. You might be wondering, however, how a more direct approach is going to lead to sustainable weight loss. Think in terms of the weight loss supplements helping to redirect your habits. It’s not just about your habits but your physical body and the shape you are in, too. Let’s say that you take an appetite suppressant. That appetite suppressant is going to provide immediate advantages, and it also might help you to retrain your dietary habits moving forward into the future. While dietary supplements can help you, one problem is people often think that they can magically make weight disappear. 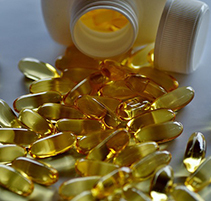 It was already mentioned that natural supplements are going to work more indirectly. That being said, even the other types of diet pills out there are going to work indirectly in relation to the idea that they can make weight magically disappear. Any company that produces claims like that about a supplement isn’t worth trusting. There are natural fat burners and metabolism boosters. There are all kinds of great dietary supplements out there. The truth of the matter is, however, that they are supposed to help accentuate a great diet plan. They aren’t supposed to work wonders by themselves. You can certainly count on the right supplements giving you great help when necessary though. One thing you want to be sure of is that any supplement you take is FDA approved and isn’t going to produce any major side effects. That’s why many people stick with all-natural supplements. There are plenty of alternatives out there, but don’t get caught up in the hooplah. You don’t want to take something that is going to harm your body. Once you start reading up on all of the natural supplements, you’re going to be convinced that they are the way to go. You don’t want to risk your health trying to lose weight because you are trying to improve your health. That is the entire point. It’s not about image. Those thoughts are going to be part of the picture from time to time, but we all have them. Take natural supplements that are going to do your body well and motivate you to lose weight. Get your exercise, smile and take this diet one step at a time. Understand the pros and cons of any weight loss supplements before you dig in. You want to be sure anything you take consistently is good for your body.